Driverless cars are on the road right now, and Argo AI is one of several key companies that are driving forward the advancement of this complex technology. 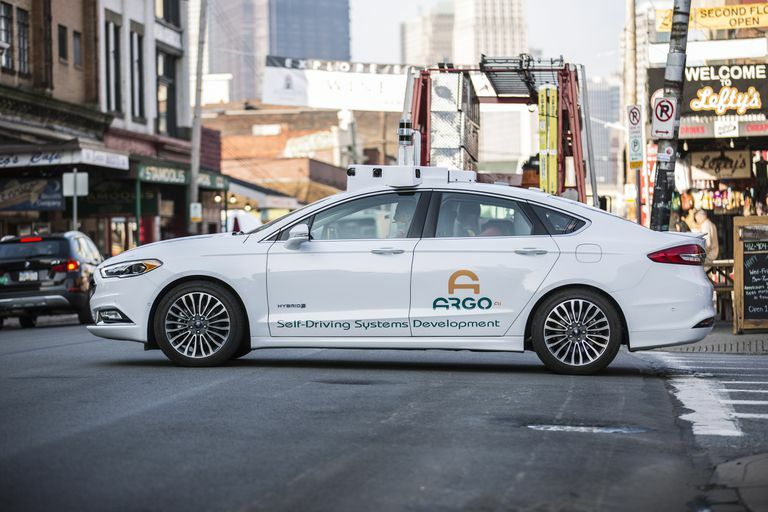 Backed by a massive initial investment from Ford, Argo has its own driverless cars on real city streets in several states. Since Argo is an independent company, its unique brand of driverless car technology could show up in vehicles from Volkswagen and other car manufacturers. Why is Argo AI Developing Driverless Cars, and Who Will Use Them? Argo AI's stated mission is to lead what it calls a "thoughtful revolution" in driving. The problem, as Argo AI sees it, is that over one million people die in road accidents around the world each year, and a large percentage of those deaths are caused by human error. The basic idea is that an artificial intelligence (AI) can't get tired, or inebriated, or suffer from a momentary lapse of judgement, so the careful implementation of AI systems into driverless cars could save lives. Beyond safety, there are many other uses for this type for technology. Ford has adopted Argo AI's technology for use in their own vehicles, and they've already partnered with a number of other companies to explore how driverless cars could revolutionize fields like transportation and delivery. In one partnership with Postmates, Argo AI-powered Ford vans were used to make deliveries without the need for a human driver. Ford also partnered with Walmart to offer home deliveries using Argo AI-powered vehicles, and some small businesses have also participated in similar pilot programs. Competitors like Uber and Google-backed Waymo have shown how driverless cars can effectively take the place of human-operated taxis and buses. In a similar vein, these vehicles could also be used by elderly and disabled people who would otherwise not be able to operate their own vehicles. Driverless cars aren't legal in every state. You might (or might not) find one driving in your neighborhood soon! Argo AI is an independent self-driving technology company that was founded in 2016. Within six months of its founding, the company received a billion dollar investment from Ford, with the understanding that Ford would rely on Argo AI's technology to implement its own driverless cars. Propelled by the massive investment from Ford, Argo AI was able to rapidly develop its self-driving car technology beyond the initial prototype phase, and actually had driverless cars on the road in several states less than a year after the company was founded. Despite Ford's large investment in the company, it remains independent. That means that while Ford was the first to sign on to use their driverless car technology, Argo AI is free to license it to other companies like Volkswagen. How Do Argo AI Driverless Cars Work? Argo AI vehicles use sensors to map the external environment and an artificial intelligence program to interpret that map and determine appropriate actions. The artificial intelligence is able to tap into every system in the vehicle, including the throttle, brakes, steering, and everything else through electronic controls. Basic routes are planned and implemented with the help of Global Positioning System (GPS) sensors, but the AI has the ability to make real-time corrections in reaction to changing conditions, like traffic suddenly stopping or a pedestrian stepping into the road. The artificial intelligence that drives an Argo AI car is trained through machine learning to understand how to react to various sorts of stimulus. This initial work is carried out at closed testing facilities, so that the AI is already a pretty good driver before it ever gets out on public roads. Argo AI is able to use data gathered from its entire fleet to further refine the artificial intelligence, and Ford has also partnered with competitors like Uber to share data from each company's real-world driverless car testing to better increase the safety of each individual system. Initial Argo AI driverless cars have been built into existing Ford vehicles, like the Ford Focus and Ford Transit. That means they have traditional controls, including a steering wheel and pedals, in addition to AI controls. Most of the basic technologies that underpin Argo AI's driverless cars have been around for a while. These technologies are collectively known as Advanced Driver Assistant Systems (ADAS) because they were originally implemented to make vehicles safer, easier, and more comfortable to drive. Technologies like lane-keeping systems and adaptive cruise control were important forerunners to driverless cars. These systems use a variety of sensors to create the same picture of the external environment that Argo AI's driverless cars use to safely navigate from one place to another. While these systems can use a variety of sensors, including radar, LIDAR, infrared, and others, Argo AI acquired Princeton Lightwave for this specific purpose. Princeton Lightwave's LIDAR technology functions as the AI's eyes, improving its ability to see and process the world around it in real time. Having a picture of the external environment, and understanding how to react to the environment, is only one part of the puzzle. In order to actually control the vehicle, the AI uses a variety of systems like drive-by-wire technology to operate the electronic throttle controls, brakes, electronic steering, and everything else.